Grace Ballesteros credits her commercial/lifestyle work with Ed Fund, Poolmaster, Spoon Motor Sports and more. Her fashion show production background credits her work with Seventeen Magazine and also the fabulous Magnum Opus “Underground” Show which was produced in Spring/Summer 2006. She has also worked with the Hired Brush Model Management, Model Manager, Barbara McGee and has a background with the famous Susan Pages Modeling Agency, based in Honolulu, Hawaii. Currently she works in Northern California, especially in San Francisco, Sacramento, San Jose and on occasion she travels to Hawaiil and Pennsylvania. She is also a contributor to fashion magazines in Malaysia and within the Asia Pacific region. Recently, Ballesteros has just participated as a proud sponsor for the First Annual Miss Asia Sacramento Pageant of 2008 & 2009. The new multi-story Hard Rock Cafe Honolulu is now in the heart of Waikiki! Come on down and experience a L.E.E.D (Leadership in Energy and Environmental Design) certified restaurant that blends the heritage of Waikiki with the energy and vibe of the Hard Rock brand. The one-of-a-kind ROCK WALL TM solo gives the ability to “deep zoom” into memorabilia while learning about each piece’s history. 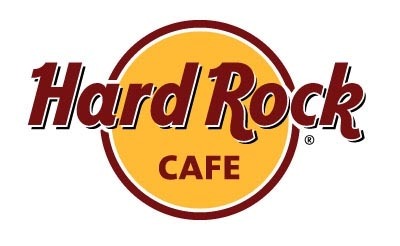 The new Hard Rock Cafe includes a priceless memorabilia collection of music legends, such as Elvis, The Beatles, Jimi Hendrix, Jack Johnson, and many more. Drop in and enjoy the exciting ocean blue colored “wave bar” while dining from our awesome local island menu! House specialties include Hard Rock’s famous BBQ ribs, fresh local fish tacos, certified Angus char-broiled Hawaiian burgers, and our awesome thick and frosty shakes. 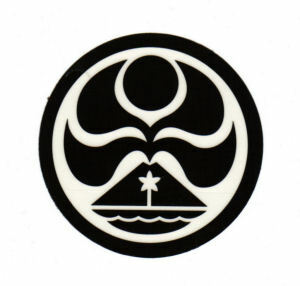 In 2010, to help expand our brand and promote the entire island lifestyle Coral Head Inc. has partnered with an international licensing company that handles Ben Aipa and The Endless Summer to form a new company – Hawaiian Island Creations Licensing LLC. To bring quality and value to the fashion industry in Sacramento and Northern California. In order to have a prosperous industy, we believe the community around us should be strongly promoted. We would like to encourage the lifestyle, night life and leisure in Sacramento to flourish and grow into a prosperous city with the fashion industry that encourages the masses through trends and statements. It is our goal to impress upon our audience that there are many things to do in Sacramento. We are inviting luxury and premium brandings into the Sacramento fashion industry to get involved in our movement towards a prosperous Sacramento. Join us in this movement and participate by attending one of our events. The Sheraton Princess Kaiulani offers a glimpse at Hawaii’s royal past in the heart of Waikiki. This Oahu hotel graces the former estate of Hawaii’s last princess… offering Hawaii vacation value just steps from world-famous Waikiki Beach, plus unlimited shopping, dining, and nightlife options.